Find style and comfort in a renovated apartment at Willowbrook Apartments in Jeffersonville, PA. Each of our one, two, and three bedroom layouts feature fully equipped kitchens, a private patio or balcony, and ceramic tile baths. Spacious living areas and large windows create a bright and airy atmosphere that you will love coming home to. When it’s time to do laundry, enjoy the convenience of an onsite laundry facility and a washer and dryer in select apartments. 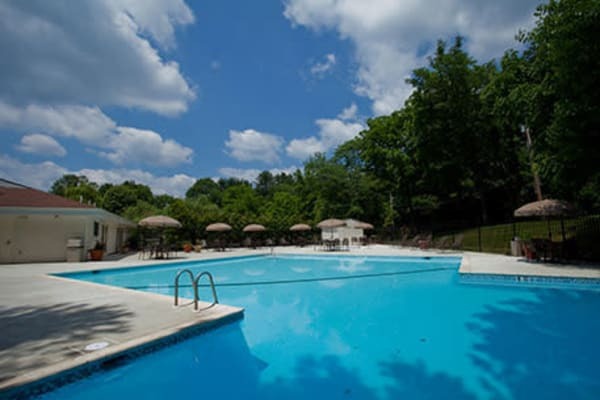 Wondering how you will spend your days at Willowbrook Apartments? Make the most of your downtime with all the amenities we have to offer. Wake up and start your day off right with an energizing workout in the fitness center. Cool down with a few laps in the swimming pool, and then kick back and catch a poolside catnap. Take your pup for an afternoon stroll around the property and let the kids play on the playground. When dinnertime rolls around, host a potluck at the barbecue and picnic area. Want to learn more? Get in touch today and we’ll be happy to show you around.